Although my pocketbook was still a little light from losing a €10 bet about the outcome of the Juventus vs Barcelona UEFA championship to my eight-year-old daughter, we still had a day in Berlin ahead of us. So after breakfast at the hotel (which was not the best breakfast we'd had), we headed out to take in more of the city and visit some of the sites our guide Stephen had pointed out to us during our walking tour the day before. One of the places we really wanted to visit before we left town was the Topography of Terror, a free(!) open air museum adjacent to the remains of the Berlin Wall. Fortunately, it was a short walk from our hotel, so we strolled over right after breakfast. The museum is a long timeline of German history from the closing days of World War I through the rise of the Nazi Party and the events of World War II and then up through the construction of the Berlin Wall. There are a lot of plexiglass-lined plaques filled with news articles, historical events, and personal stories. There were also a number of video screens at various points along the timeline, but none of those were working. The whole thing was a really fascinating look at how the events following World War I and the interwar period rolled right into the events that led up to World War II and then into the creation of the Eat German state. You can't miss seeing the giant hot air balloon right across the street from the Topography of Terror. 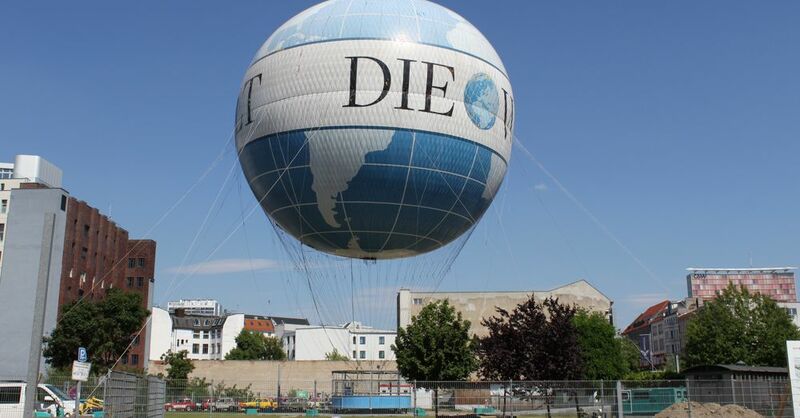 For a mere €20 you can float up to 150 meters above Berlin in this tethered balloon that has Die Welt (The World) emblazoned across it. It takes off every 15 minutes, although Air Service Berlin does state a ride is dependent upon prevailing weather conditions. 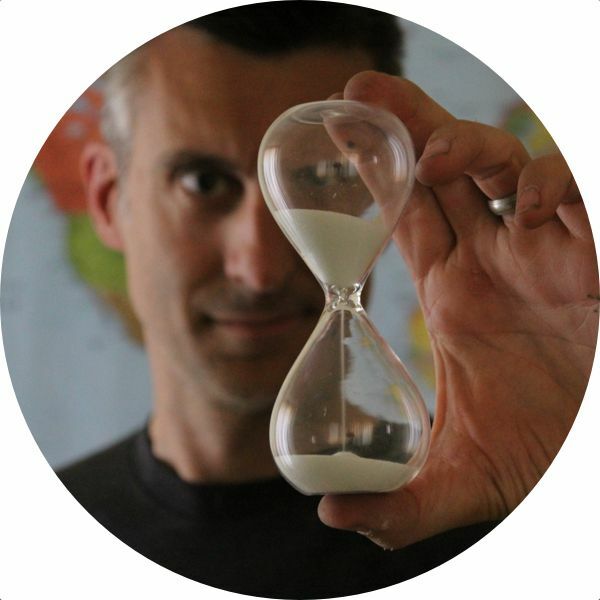 We opted to skip the balloon ride—we hadn't gone on one yet during our travels, so why break a perfect record? There's an island in the middle of Berlin, formed by a fork in the Spree river, and the northern portion of this island is notable for being home to no fewer than five museums. Because of this, it's known as Museuminsel—and it's a UNESCO World Heritage Site. So naturally we had to check it out. The Lustgarten is not a museum, but it marks the southern end of Museuminsel. The five museums in question are the New Museum (built in 1859), the Old Museum (built in 1830), the Old National Gallery, the Bode Museum, and the Pergamon Museum, which houses one of the original Gates of Babylon—one of the original Seven Wonders of the World (until it was replaced by the Lighthouse of Alexandria, but that's another story) dating back to 575 BCE. I mean, wow. Although we didn't actually go inside any of the museums on Museum Island, we did walk around the island quite a bit. Samantha even found a small street arts & crafts fair to visit (she can find one of those anywhere). So the day before we explored Fassbender & Rausch, Berlin's premier chocolatier. But on our tour we learned that Ritter Sport, a somewhat less high end (but equally delicious) chocolate bar company, had a shop just down the street and around the corner. We decided to pay this place a visit—just for comparison, of course. Tower of Ritter Sport bars. Okay, so here's a confession. I'd seen Ritter Sport bars for sale in the U.S. before, but I'd always passed on them because Ritter Sport seemed like an odd name for chocolate. We fear what we don't understand and all that. But after visiting the large two-story chocolate shop and taking the self-guided tour explaining how the chocolate was made, Ritter Sport makes a lot of much sense. Ritter Sport bars are designed to be a nice, portable (100g) snack for sports (mostly football) fans to take to the games. They're square and most of the flavors break off into 16 smaller square pieces—perfect for snacking and sharing. 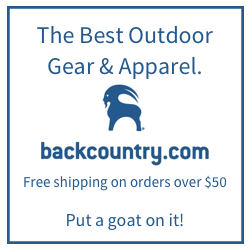 There's a whole series of paraphernalia (like coolers to keep your chocolate bars cold and carrying cases to transport your chocolate to your favorite sporting events) and a ton of inventive, delicious flavors (like Honey Salt Almonds). 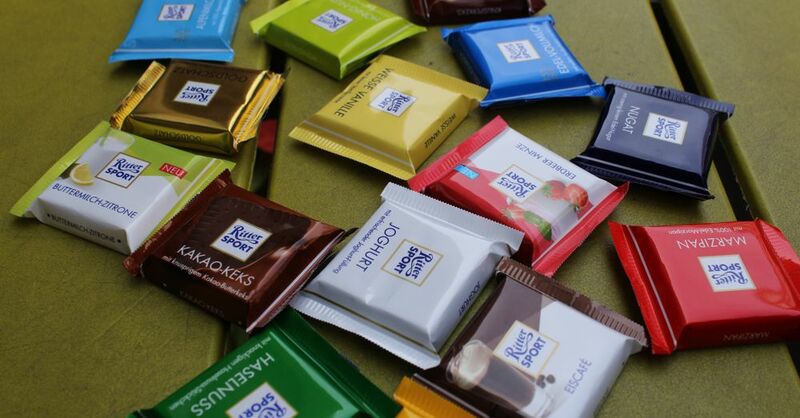 Ritter Sport. So many flavors! The shop sold huge variety of "minis," smaller (4-square) bars, for about €1 each. We loaded up on quite a few of these, purely for experimental reasons. This shop also had a "make-your-own flavor" station, which was a lot like a frozen yogurt place except you got to invent your own chocolate bar flavor. You could even bring your own ingredients from home for your custom creation. It was a fantastic—and really busy—place to visit. As we walked around, we saw many of these large, multi-seat bicycles zooming around Berlin. 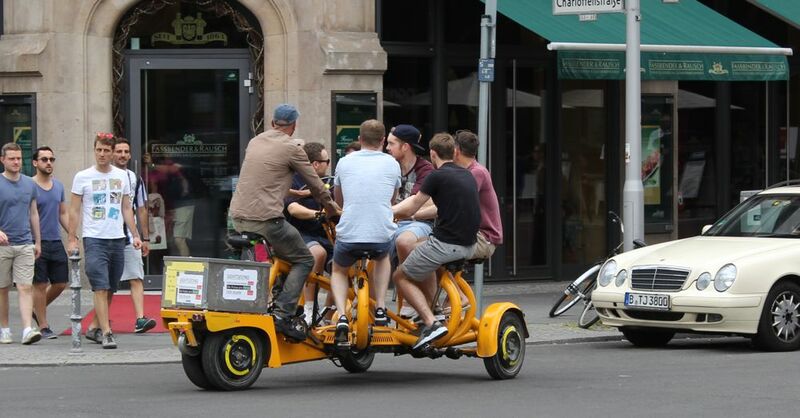 They were almost always loaded with young folks in various states of inebriation (the bachelorette party was by far the tipsiest) enjoying chilly beverages as they casually pedaled along while taking a tour of the city. We didn't see these things in any other country we visited, so as far as I know, the bicycle bar is a uniquely German experience—and it looked to be a pretty great one. But there is a cost. The Big Bike Berlin, for instance, is €170 for an hour (plus beverages, more on the weekends), so it was a bit beyond what our budget allowed. It does seem like it would be a great thing to do for a right-sized group of folks, though. One serious machine for pedaling and drinking. And after all that, plus a lunchtime stop at Bistro Motiv (Angela Merkel's go-to kebab joint, just down the road from the North Korean embassy), and a visit to Potsdamer Platz to see a movie in a real theater (which we hadn't done since Vietnam), our second day in Berlin had come to close. We would be leaving the next morning to continue our journey, and we were a little sad to be going. We really liked Berlin, and we're looking forward to a return visit. Header image: St. Hedwig's Cathedral, a Roman Catholic church in Berlin.